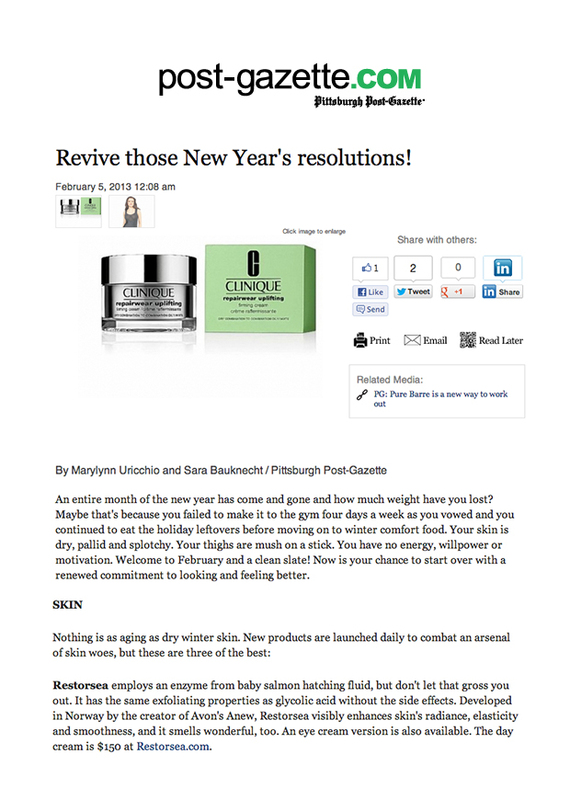 The Pittsburgh Post-Gazette wants you to "Revive those New Year's Resolutions" and renew your commitment to looking and feeling better! They recommend Restorsea as one of the best products to repair your dry winter skin: "Restorsea employs an enzyme from baby salmon hatching fluid, but don't let that gross you out. It has the same exfoliating properties as glycolic acid without the side effects. Developed in Norway by the creator of Avon's Anew, Restorsea visibly enhances skin's radiance, elasticity and smoothness, and it smells wonderful, too. An eye cream version is also available. The day cream is $150 at Restorsea.com."